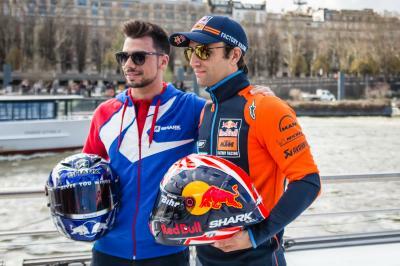 As is the tradition, it was on a riverboat on the Seine that the SHARK Helmets Grand Prix de France press conference was held this Tuesday morning. A press conference attended by French riders, from MotoGP ™ to MotoE ™, namely: Johann Zarco (Red Bull KTM Factory Racing), Fabio Quartararo (Petronas Yamaha SRT), Mike Di Meglio (EG 0 , 0 Marc VDS), Randy De Puniet (LCR E-Team) and Kenny Foray (Tech3 E-Racing). 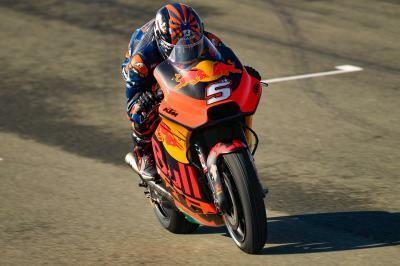 The latter were accompanied for the occasion by Miguel Oliveira (Red Bull KTM Tech3), representative of the SHARK brand and the Red Bull KTM Tech3 team in MotoGP ™. 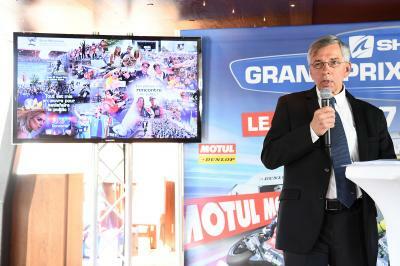 Jacques Bolle, President of the French Federation of Motorcycling, was one of the first to speak during the presentation, stressing the importance the race on the MotoGP™ calendar. Then Claude Michy, promoter of SHARK Helmets Grand Prix of France, took the microphone to extend more on the program of the weekend. The proposed formula was successful in 2018 with no less than 206,617 spectators recorded over the three days, 105,203 just on Sunday, making the French one of the most visited events. "In 2018, the French Grand Prix has had a very strong affluence and this year again, our goal will be to satisfy the viewer,” he announced. “Motorways will again be free for bikers, parking monitored with lockers offered; everything is included in the price. Under 16s will still receive free tickets for the general speaker, a measure that aims to attract families. We also had an extra gallery installed with Motul, offering more than 20,000 seats - combined with 14 giant screens - are available to allow the public to enjoy the race with a degree of comfort. “The walkman operation organized with the support of Moto Journal is also renewed, as the visit of the pit lane, the AMV fan zone where pilots, journalists and other personalities of the paddock come to meet the fans. The concerts and mechanical show on Saturday night will continue. 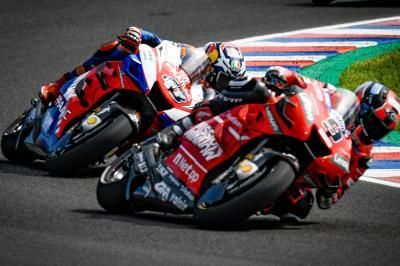 Two other events will also be held on the side-lines of the SHARK Helmets Grand Prix of France: the FIM CEV Repsol Moto3 ™ and the Bridgestone Handy Race, which will celebrate its third edition. " It was then the riders' turn to speak first with Kevin Simonato (Vice President of the Handi Free Riders Association) and Emiliano Malagoli (President of the Italian association Di. Di. Diversamente Disabili), who welcomed this initiative launched three years ago to host a Bridgestone Handy Race at Le Mans. 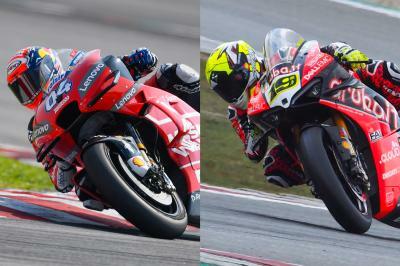 Kenny Foray, Mike Di Meglio and Randy De Puniet, for their part, said they wanted to return as soon as possible after the unfortunate incident of the test MotoE ™ Jerez. 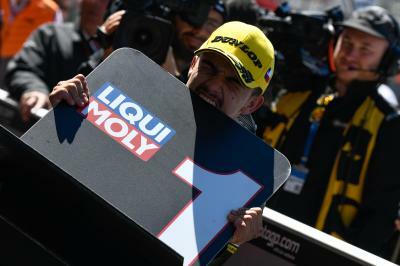 Miguel Oliveira, after his premier class debut in Qatar, spoke about his hopes for the future, whilst local riders Fabio Quartararo and Johann Zarco also made statements. 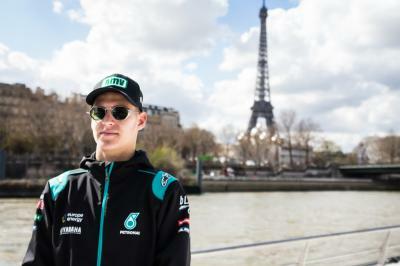 "We have only one Grand Prix in France, and it's always a highlight," said Fabio Quartararo, “I intend to enjoy it to the maximum. I have good memories of those moments spent with fans, although, so far, my efforts have not always been rewarded with results. 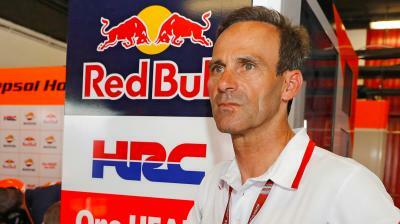 This year promises to be really great as I ride for the very first in MotoGP™." 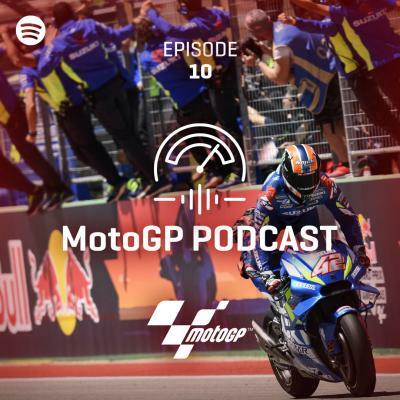 "Last year, the Grand Prix de France was a big weekend for me," said Johann Zarco. 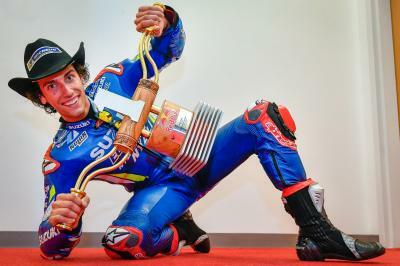 “I was on pole and I am very proud of this. It was, frankly, a rare emotion for a Saturday. On Sunday, there was no doubt, I wanted that victory. In the end, it was another lesson, which will have made me grow. We'll see how it goes this year. The objectives will not be quite the same as I am on a development project. The priority is first and foremost to build its base to increase power thereafter. " The press conference ended with a family photo. 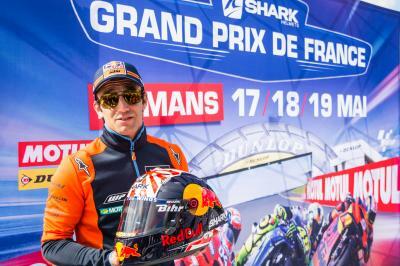 The SHARK Helmets Grand Prix de France will take place from May 17th to 19th. To attend this event, visit our ticket office.